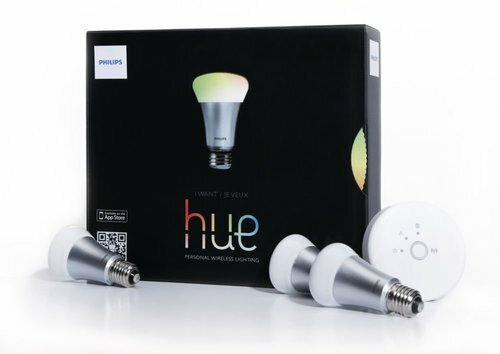 Simple and smart, Hue lux bulbs produce beautiful warm white light that can be brightened and dimmed to suit any occasion. Also, put Hue lux in your bathroom, your kitchen, hallway, your living room or anywhere else. A starter pack includes three bulbs that simply screw into your existing lamps, and a bridge that you plug into your home Wi-Fi router. Simply download the hue app to start experiencing light in a completely new way.